But, Jackson was so gracious and down-to-earth that I found myself caught up in a conversation I wanted to extend for a couple hours. So much to ask! I wish you could have joined in. Let me try to share all the best parts with you. I tell Jackson that one of my favorite things on his show is when there’s a ‘cat convert,’ such as a boyfriend who didn’t like cats, and they begin to see the cat in a new way and they start bonding. I ask him if he had any thoughts on how that occurs and how we can make it happen more. It turns out he is passionate about this topic, especially about men becoming cat converts. Jackson acknowledges that men in general started off on the wrong foot with cats because most men like to feel in control and cats don’t like to be controlled. Yet it’s clear to him that men and cats go together and that something changes when men understand more about cats. I mean, how many men have lions tattooed on them, tigers tattooed on them? Gazillions. Jackson says he has a history of working in a high kill shelter and he feels that we are in a unique position in animal welfare history to end the need for shelter killing. He feels that helping people, especially men, understand and bond with cats is a big piece of the puzzle. Jackson: “Bonding with a cat, again, it’s [understanding] cat mojo, what turns pretty much every cat on. And at the core of their being, they’re a hunter and if you hook into the game…meeting them on their side of the fence where play and prey, where you assist them in [play] ‘killing’ something so that their self confidence is in a place where it was always meant to be…. you’re now their hero and that level of bonding is where I’d start. See the world the way a cat sees the world and that’s where the bond starts. Also, resist the temptation to assert yourself. To put the cat on your lap, to cart them around from place to place. They’re creatures of self-determination. When you create that bond it happens in a very energetic way…when you lay the foundation of that bond they will come to you. There’s no point in trying to make a cat do anything. Don’t make them do anything. It’s …you’re stepping on one end of the toothpaste and hoping it doesn’t come out the other end you know. Bad stuff happens. Liz: That’s so great, but of course, it’s so opposite to what people who are used to dogs will do. I ask Jackson if he’s ever had a cat with whom he felt an unusually strong, inseparable bond, as we talk about “soul cats” a lot around here. Jackson emphasizes that he tries not to play favorites, but he does admit to a special, touching friendship with what I would call a soul cat. He’s about to publish a book about this cat. Jackson: “Well, I mean, Benny was definitely one of them…. I don’t play favorites. I love my cats. I love other people’s cats. I love cats… But yeah, Benny, because Benny was such a teacher and because his story was so archetypically shelter cat, you know. He always hit me hard… I think the thing about Benny was that it’s a story of co-healing. “My book is about my life with my cat teacher Benny. Everyday it was like – what movie does it remind me of? It reminds me of Kill Bill… where Uma Thurman has that incredible task master teacher, kung fu teacher, and every time she would pick up a grain of rice a certain way he’d slap her hand. NEXT, in Part 2, find out Jackson’s views on some controversial cat behavior topics: mood meds for cats, cats-per-square-foot, and you! 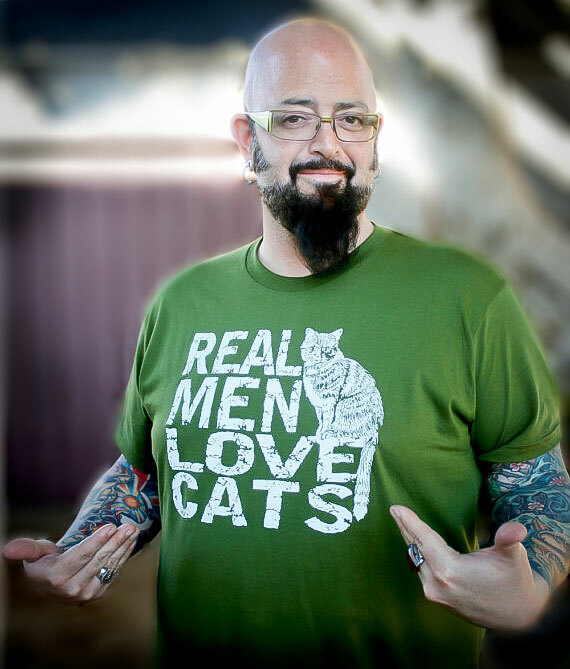 Jackson’s cat behaviorist show, My Cat from Hell, is excellent and just started its second season, Saturday evenings on AnimalPlanet in the US. Showing in other countries on Animal Planet soon as well. Congrats on landing a big time interview. Jackson is a great guy and I’ve seen the three seasons of My Cat From Hell on Animal Planet. Interesting show though a bit scary at times. Scary as in some cat parents are obnoxiously clueless. 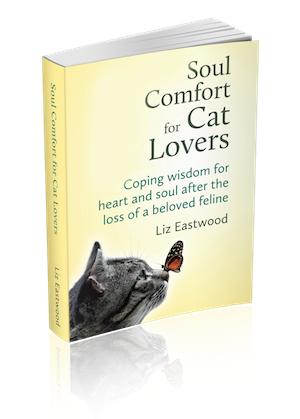 It would be a big help if some of those cat parents would attempt to understand cats from a cat’s point of view – maybe do a little reading as well as tuning into the cat without presumptions would be a good start. Great interview. I always find myself wondering how to explain to guys how cats are wonderful. It’s a heck of a challenge because guys tend to have negative preconceived notions. In your interview Jackson provides some great tips about how a man should actually identify strongly with cats since cats are so masculine and he gave some details as to why. I’ll remember that next time the topic comes up and someone is pessimistic due to ignorance. I think bonding is all about having gentle, good-intention vibes coupled with tuning into the subtle things about cat behavior and personality. It’s about how a person talks to a cat, approaches a cat, touches a cat, and plays with a cat. I also think they require a good amount of daily attention and playful interaction. That helps and is required for good emotional health and happiness with a cat. That’s beautiful. Here’s to Emma! I look forward to Jackson’s book. I like a good cat-story based book. And I also look forward to part II of the interview! Thank you so much Lisa, and yay for cat men! Liz, I loved this different slice of the Jackson in your interview and will happily share. The world needs more loving cat men and every day their numbers are growing. Wonderful interview Liz! I felt like you did – so nervous at first, then the more you talked to him, the easier it was!! I really like how he is educating the world on how cats need to co-exist in a home with humans, but still need a “cat-friendly” environment provided to them so they can thrive as the unique species they are. So many simple things that many people are just not aware of that can make a cat thrive in a home…. Deb, I agree 100%, and thank you for your support!